Vevo, the world’s leading provider of premium music videos, today announced that it is celebrating “The 51st Annual CMA Awards” in Nashville with an exclusive CMA version of Vevo Live. This special edition of Vevo Live will be complete with performances, video premieres, and appearances from many of country music’s biggest names and rising stars including Luke Bryan, Brett Young, Little Big Town, Devin Dawson, Chris Lane, Ryan Hurd and many more. Hosted by Ashley Eicher with celebrity guest hosts including Carly Pearce and Cam. Vevo’s broadcast will take place at on November 6, 2017 at 4pm CT.
As a promotional partner of CMA Awards, Vevo is eager to celebrate Country Music leading up to “The 51st Annual CMA Awards,” broadcasting live November 8 at 8pm ET from Bridgestone Arena in Nashville on the ABC Television Network. Overall the country genre has averaged 414.7 million monthly views on Vevo in 2017 (Source: Vevo Internal Analytics, US viewing metrics through 10/31/17). During a Vevo Live, the audience can tune in on different devices and from different locations. With video broadcast capabilities, fans are now able to get a deeper engagement with the artist, while keeping the music video at the heart and center of the experience. As a multiple screen co-viewing experience, this exclusive Vevo product allows artists to engage in a live chat with their fans, giving artists the ability to broadcast interactively alongside their music videos, and especially for this episode Vevo will be hosting multiple artists in Nashville streaming for two hours. Vevo Live at the CMA’s will be broadcast on Vevo.com. Fans can join through a special URL on mobile or desktop devices with the action also streamed on Youtube. To chat with the artists, fans must engage through Vevo.com, via desktop or mobile. The stream will be also available to view on Twitter at twitter.com/vevo. Facebook and Instagram. Fans can get a jump on the action by chatting with their fellow music lovers and asking questions to the artists in advance by heading to vevo.ly/VevoLiveCMA starting Friday 11/3 at 12pET. Country Music News Blog participates in advertising programs that help fund the operation of this site. For more information please visit our privacy statement. 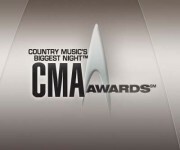 This entry was posted in CMA Awards, Luke Bryan, Press Releases, Television by Shauna "WhiskeyChick" Castorena. Bookmark the permalink.